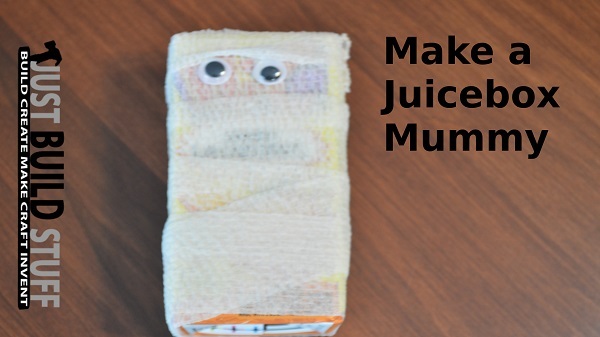 This is a fun snack craft where you wrap tape around a juice box to make it look like a mummy. These are the supplies we used. 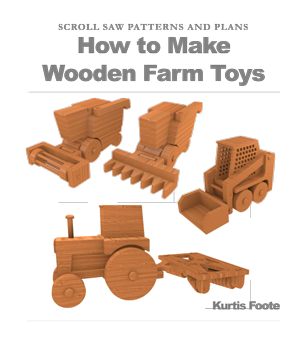 The video and pictures below will show you how we made the craft. 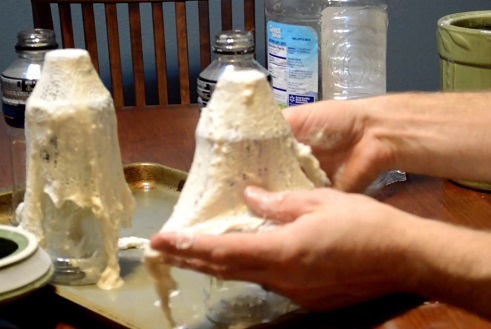 In the video below I dunk cheesecloth into a mixture of flour and water and lay it out on bottles to dry overnight. 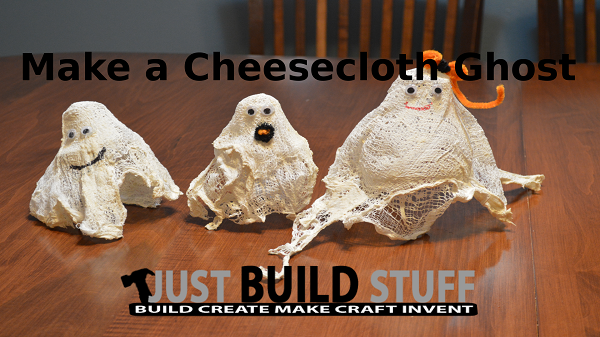 The next day the cheesecloth had a stiff ghost like appearance, and we decorated the ghosts with faces. I hung the ghosts out on our front porch to get ready for Halloween. 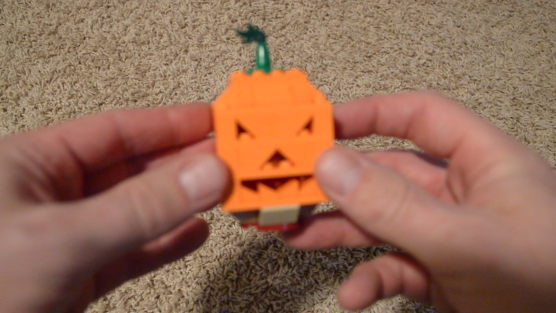 Below is a video of building the Lego Pumpkin Polybag 40055. After getting lots of candy, carving a pumpkin is definitely the funnest part of Halloween. This year our www.justbuildstuff.com pumpkin is pretty simple, we just carved the phrase “Trick or Treat?” into the pumpkin. To make the pattern used to cut the words from, we printed out the words on a sheet of 8.5″ X 11″ paper (you can pick the font and size to suit your own tastes). Then we taped the words to the pumpkin. To give us an outline on the pumpkin to cut from we poked holes through the paper to leave a pattern that we could cut along. After we poke the hole, we use a little saw and a knife to cut the letters out. After all the letters are cut we clean out the inside of the pumpkin, saving the seeds for roasting, then we put a light inside the pumpkin and watch it glow! 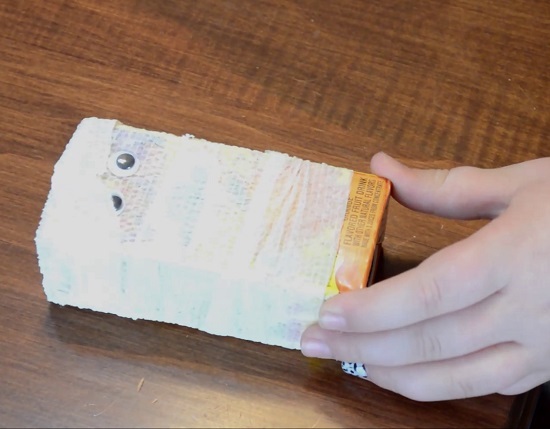 This post explains how to make a craft that is both practical and sentimental – a trick-or-treat memory bag. Once again, my subscription to Family Fun magazine provided me with a great idea for a holiday craft. 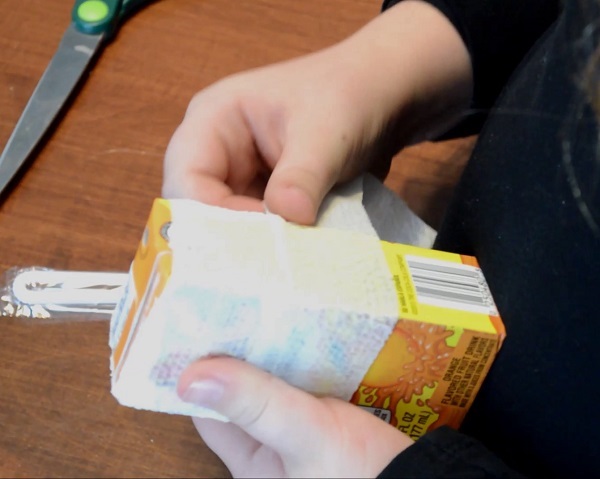 To create this item you will need a plain canvas bag and either permanent markers or fabric paint. Simply lie out the canvas bag and let your artistic talent go to work as you draw a Halloween design. As my daughter is still very young, I am making a bag for her. I decided that I would decorate her trick-or-treat bag by documenting what her Halloween costume is each year. In the future, she can look back at all of her costumes and remember what she dressed up as in the past. Or, if you are having a Halloween party, it might be fun to provide a canvas bag to each of the partygoers and have each of them autograph the bag and list their costume. Halloween is a time of spooky fun and imagination. When I was young, I had so much fun dreaming up with what I wanted to be. 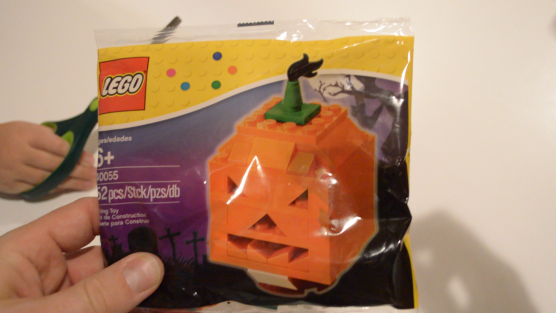 This bag helps document the fun and creativity of a child and is a great tradition to add to anyone’s Halloween.